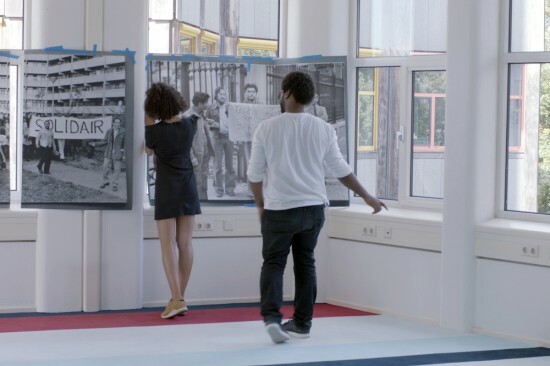 Prologue: Squat/Anti-Squat (2016), film installation with dialogue on back-to-back screens, 17 min each side, installation view in the Dutch Pavilion at the 57th Venice Biennale, 2017. Photo Daria Scagliola. All images: © Wendelien van Oldenborgh, courtesy the artist and Wilfried Lentz Rotterdam. 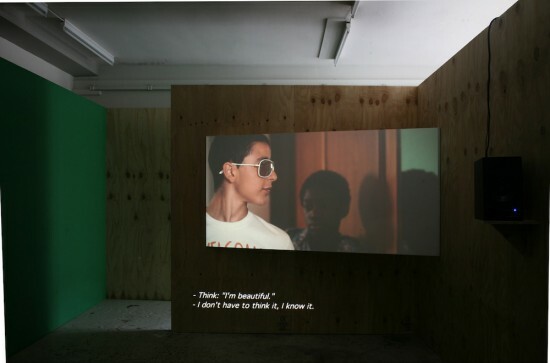 La Javanaise (2012), projected video on two screens with dialogue, 25 min. 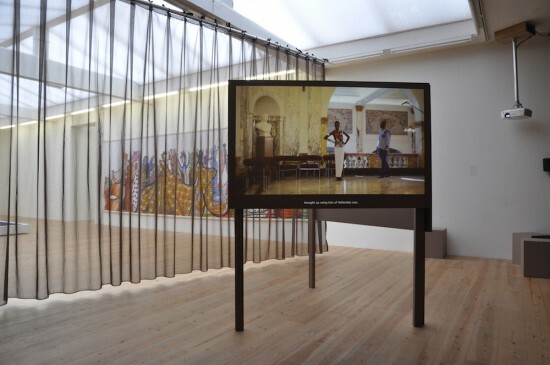 Installation view, Stedelijk Museum Bureau, Amsterdam, 2012. 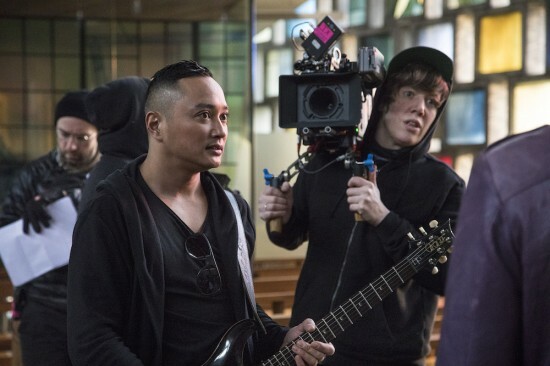 Cinema Olanda Film (2017), production still. Photo Daria Scagliola. 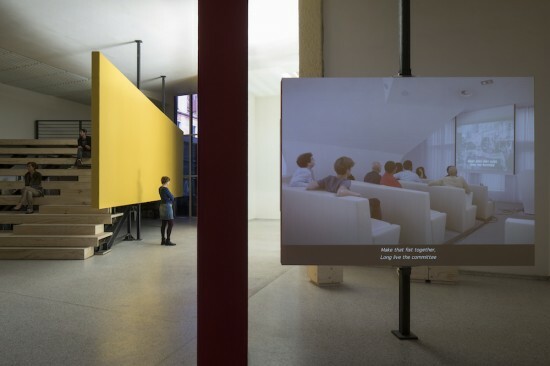 Après la reprise, la prise (2009), slide-installation in architectural setting, image from slide transferred from digital cinema, installation view at Wilfried Lentz Rotterdam, 2009. Photo Bárbara Wagner.